For many patients, the main attraction of CBD is that it does not get you high. In fact, medical researchers from the Netherlands Institute of Mental Health and Addiction have observed that CBD counteracts the psychoactive effects of THC. The more CDB is in your cannabis, the less high you are likely to become. CBD may also help to counteract the memory loss and anxiety sometimes caused by THC. A 2010 study published in the British Journal of Psychiatry showed that subjects given high CBD strains scored better on memory tests and reported lower levels of anxiety than those given high THC strains. Both THC and CBD can help patients cope with pain, including chronic pain. Patients who received THC as part of a study published in the Canadian Medical Association Journal, reported lower levels of pain along with an improved ability to sleep as a result of their treatment. Even better is for patients to find a strain with equal parts THC and CBD. A study from the Journal of Pain and Symptom Management shows that cannabis extracts containing a 1:1 ratio of THC:CBD provide more pain relief than those containing just THC. Why does this work? Researchers at Brown University Department of Psychology have concluded that cannabinoids reduce pain by selectively blocking the signals in the brain and spinal cord that cause us to feel pain. Researchers at the University of Guelph in Ontario found that the cannabinoids in cannabis interact with key receptors in the brain to control nausea and vomiting. A study published in the New England Journal of Medicine showed that 14 of 20 cancer patients experienced less nausea when taking THC. A study on rats at Wilfrid Laurier University concluded that CBD could be a promising treatment for chemotherapy related nausea. A third study published in the British Journal of Clinical Pharmacology found that 5 of 7 patients suffering from chemotherapy induced nausea and vomiting, who were administered an extract containing equal parts CBD and THC, showed decrease levels of nausea. According to a study published in the Journal of Psychopharmacology, THC can improve mood through euphoria and relaxation, but it can also cause anxiety and disorientation, which may make depression worse. Most of the research on CBD shows that it reduces feelings of anxiety and depression. For example, researchers at School of Medicine of Ribeirão Preto have shown that CBD reduces anxiety and stress in public speaking tests conducted among individuals with Generalized Social Anxiety disorder. The Journal of Palliative Care published a clinical study showing that THC increases appetite and can help cancer patients maintain weight. CBD, however, may actually help to decrease appetite. A study conducted on mice by researchers at the NIH’s National Institute on Alcohol Abuse and Alcoholism seems to show that obesity can be caused by an imbalance of cannabinoids in the body and CBD may be a promising treatment to correct the problem. So what if you consume a strain high in both THC and CBD? According to German researchers, you’ll still get the munchies. CBD does not counteract the appetite stimulation of THC, like it does the mental effects. According to a 2009 study published in the Journal, Future Medicinal Chemistry, both THC and CBD have qualities that prevent enzymes, called cytokines, from causing inflammation that can allow a tumors to grow and spread. This could be good news for people with many types of cancer including prostate, colon, thyroid, lung, esophageal, stomach pancreatic and breast cancer, which may cause inflammation. A study by the California Pacific Medical Center Research Institute concluded that both THC and CBD are effective in slowing the growth of brain tumor cells in laboratory cultures, but the most effective treatment is a combination of both CBD and THC. Researchers at the University of South Carolina School of Medicine, Department of Pathology, Microbiology, and Immunology, have shown CBD may reduce the lifespan of Leukemia cells and reduce tumors. A study published in the British Journal of Pharmacology shows that THC slows the growth of lung cancer tumors in animals and in lab cultures, while a study conducted at University of Rostock, Schillingallee, shows that CBD slows the spread of lung cancer cells. A California Pacific Medical Center, Research Institute study done on breast cancer, shows that CBD can slow tumor growth and reduce tumor aggressiveness, preventing breast cancer from spreading to other parts of the body. A study on prostate cancer cells, conducted by researchers at the Vancouver Prostate Centre, shows that extracts high in CBD, relative to THC, may be more effective in slowing the growth of prostate cancer cells. The anti-inflammatory effects of CBD also help to treat prostate cancer related inflammation. Researchers at the University of Naples Federico II showed that CBD slows the growth of tumors and reduces the spread of colorectal cancer cells in mice. Their research also shows that CBD may have a preventative effect, keeping colon cancer from forming in the first place. 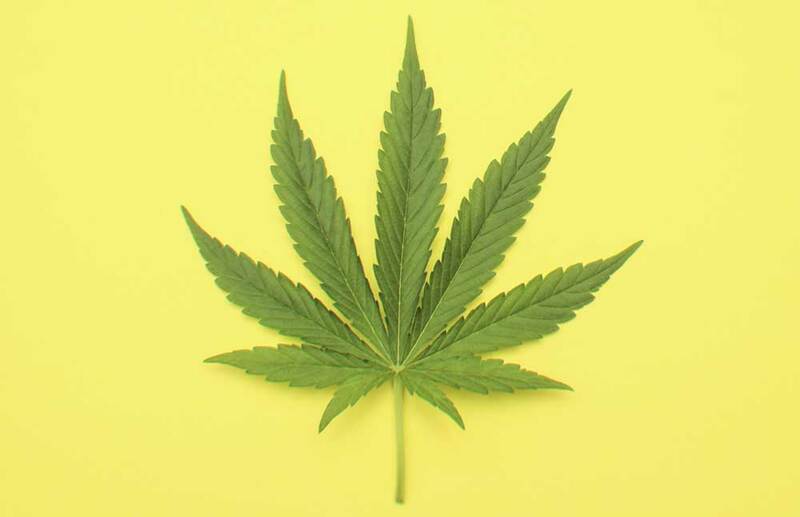 Most forms of cannabis contain a mix of THC and CBD. Several of the studies we came across showed that this is for the best — THC and CBD work well together. When shopping for a strain, look at the ratio of THC to CBD. If there is more THC, the strain is a high THC strain and will probably make you high. If there is equal parts or more CBD, the strain is high CBD and will not make you high, but may still cause a state change. Whether trying a new THC or CBD strain, always test how it affects you before driving, doing anything potentially dangerous, or engaging in high stakes social situations. Do you prefer high-CBD or high-THC strains? Comment below.